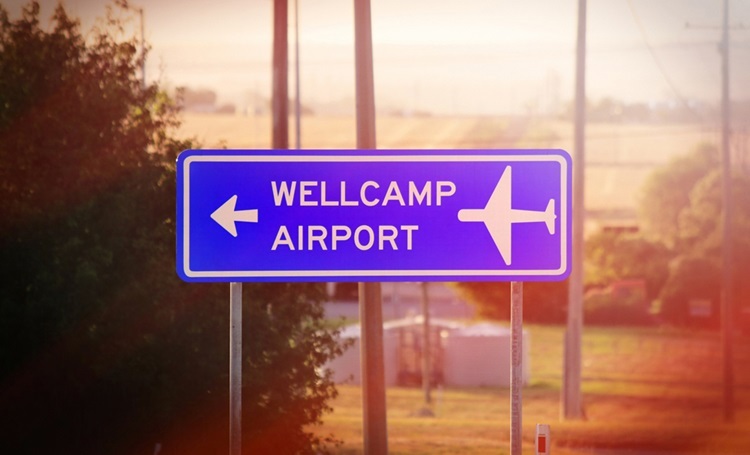 Back in November 2014 we brought you a story about securing the contract to supply the 500kL sewerage treatment plant for the Wellcamp Airport and Business Park. This month marks the 1 year anniversary of the airport’s open day and so we would like to bring you an update of the True Water Australia works onsite. True Water Australia Installed the KubotaHC-50R treatment plant as part of Stage 1 in mid January 2015. This provided the site with an efficient and cost effective sewage treatment system that boasts exceptional environmental outcomes. May 2015 saw the final commission of Stage 1 with Denis Wagner himself providing a resounding testimonial about the True Water team. “Wagners is a large family company based in Toowoomba, Australia. 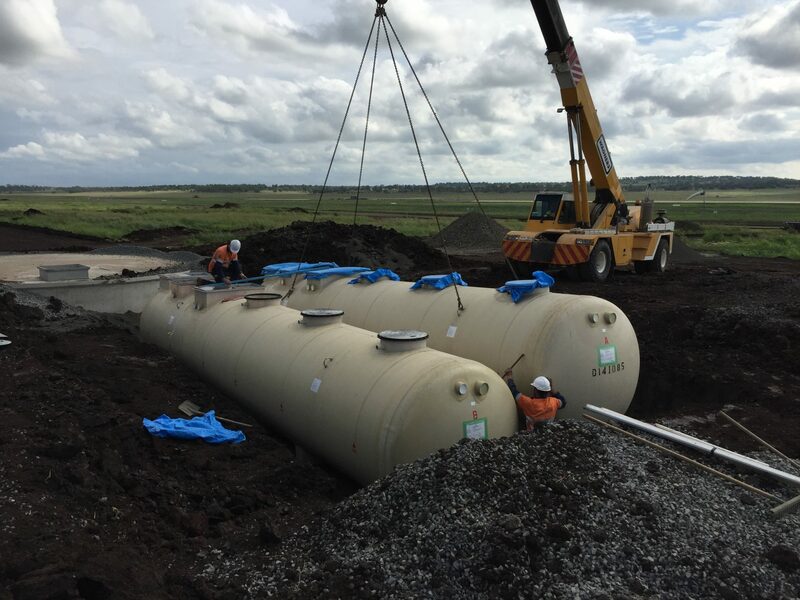 We needed the world’s most reliable, high quality sewage solution for the Brisbane West Wellcamp Airport and Wellcamp Business Park. 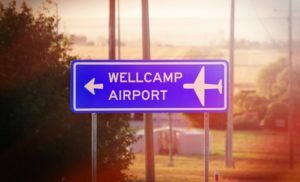 The Wellcamp Airport and Business Park offer world class infrastructure and facilities and have a focus on the highest environmental performance possible. 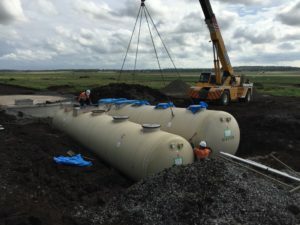 As this is a multi stage development, we have been working closely with the great Wagners team to complete the commercial sewage system that will support not only the airport but also the business park. The airport is located 17 kilometres west of Toowoomba with flights to Sydney and St George supplied by Qantas and REX regional Express. News of the oil and gas company Schlumberger recently becoming the business park’s first tenant in conjunction with possible import/export ventures show a positive movement for the development. Stage 2 is currently underway with the True Water Australia install team onsite in Toowoomba this month- keep posted to see more commercial treatment plant updates.